Like many others, the story of my becoming a pastor revolves around the urging of many teachers. Early on, it was a teacher who recognized a hint of giftedness in me. Another nurtured my faith, and yet one more convinced me I should explore a career in ministry. Certainly, there is power in the words of teachers! 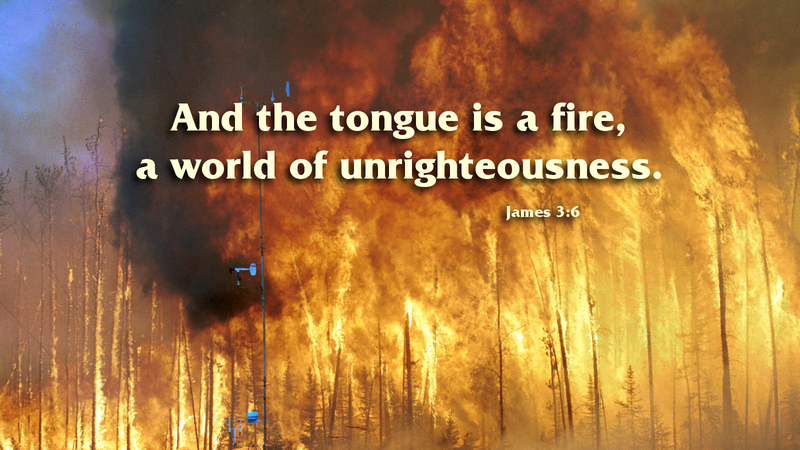 James warns teachers concerning the power of words. Like the small rudder of a ship, the tongue has the power to steer the course of peoples’ lives. Especially in Church, the tongue can do insurmountable damage. A word misspoken from the pulpit can lead a congregation down the wrong path. Words spoken in confidence can wreak havoc if shared with others. Even words meant for encouragement can be misunderstood if spoken carelessly. It goes without saying, even teachers of faith have their shortcomings; we are all sinners in need of God’s grace. All Christians, especially pastors and people in lay ministry are called to speak the truth concerning our lives as God’s children. Again, we all sin and fall short of God’s glory. Therefore, we must pray that our words remain true and that we speak this truth in love (Eph 4:15). Prayer: God of mercy and grace, bless the words of my mouth and the meditation of my heart, that they may be fruitful in your sight. Amen.